Our stuff just got even more covetable! 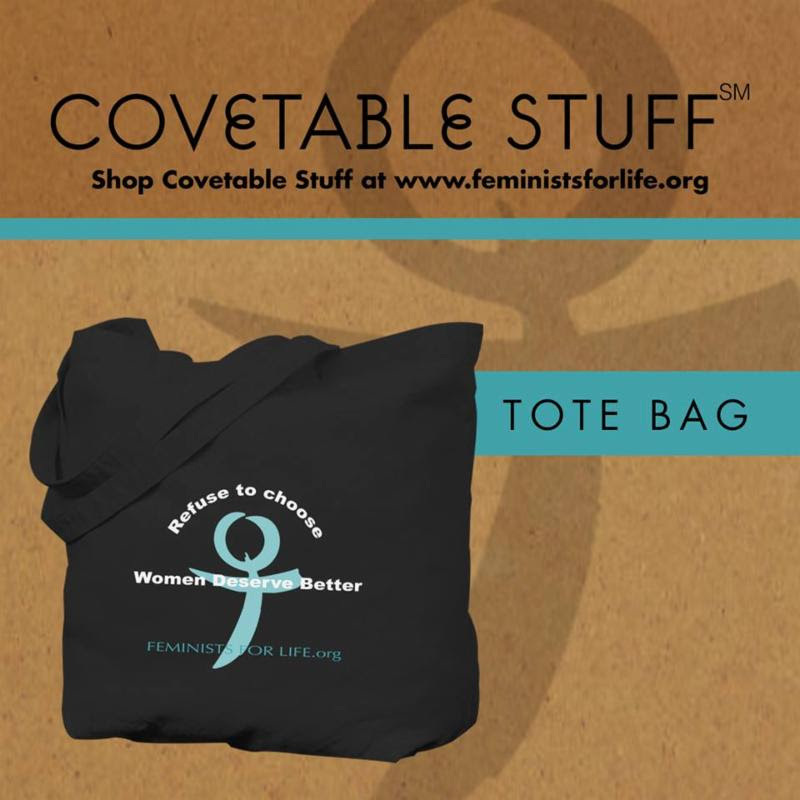 Our tote bag is made from 100% cotton canvas and comes in seven colors. It makes a great gift for a student (whether pregnant, parenting, neither, or both) who has to carry all of her books across campus. Our onesie is made from 100% fine jersey cotton and comes in seven colors. 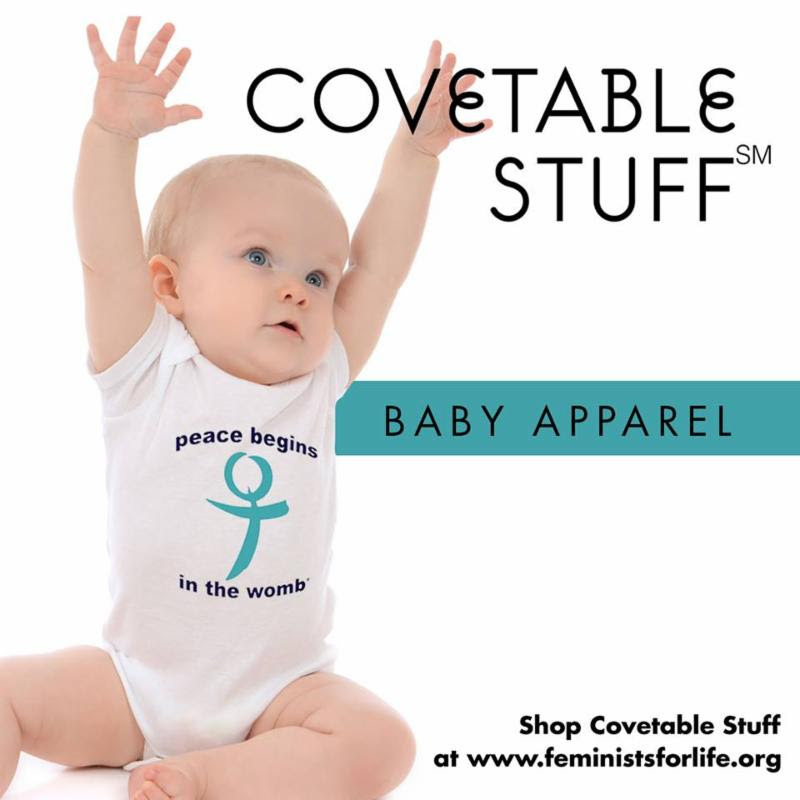 It’s the perfect gift for any new mom (or dad) raising the next generation of pro-life feminists. Our smartphone covers (available for Samsung Galaxy 6, iPhone 5/5S, and iPhone 6/6S) are great for a student, a parent who works outside the home, or really anyone who uses a smartphone and wants to promote the cause of life. Our shirt is a 3/4 length sleeve wideneck tee for women. It comes in six colors, is available in sizes S through XXL, and is a 50/50 cotton-polyester blend. It makes a fine addition to the wardrobe of any pro-life feminist. Please shop now and pick out your favorite way to express yourself — and reach someone who needs to hear our message. PS: Do you want a product with our message that we don’t offer now? We might be able to add it to our collection, so let me know! Thank you for your support!